Ensuring kids brush their teeth can be notoriously difficult and ensuring they brush their teeth correctly is a whole different matter. 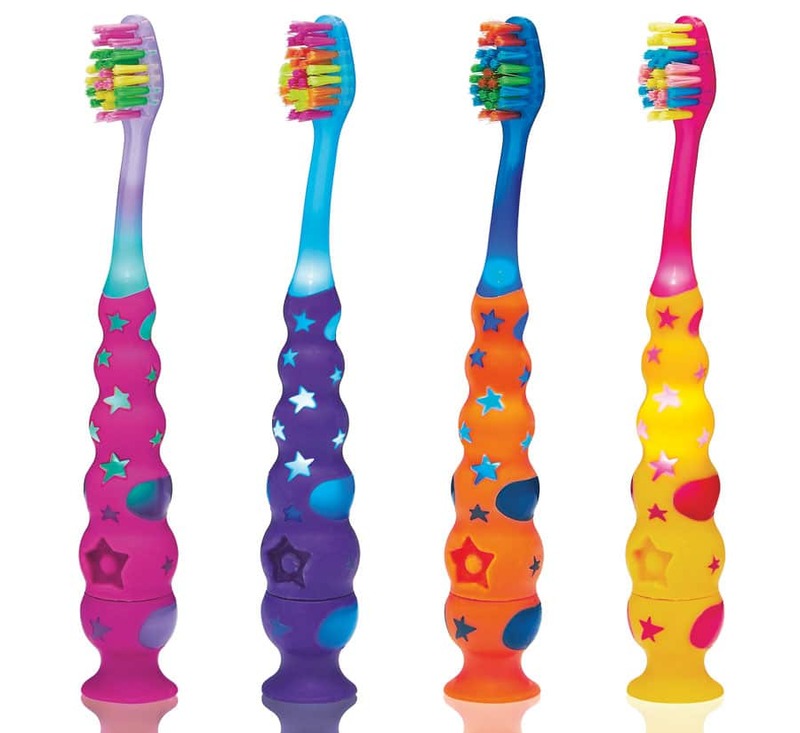 The fun and colourful design is exactly what the CareDent Starlite Kids Toothbrush is all about. The one-minute light-up timer is perfect for teaching kids the importance of thorough brushing as it lights up for one minute for upper teeth and one minute for follower teeth. Featuring a small compact head, soft quality bristles, easy grip and non-slip handle, the toothbrush is perfect for kids from three years and up. The suction cup at the bottom of the handle is for added hygiene benefits as well as the extra fun kids might have in the bathroom by sticking the toothbrush on a vanity mirror or cabinet. Appealing to boys and girls, the Starlite Toothbrush is available in four bright sparkly colours—pink, blue, orange and yellow. The Starlite Toothbrush comes in two type of packaging—a retail blister pack or cello-wrap for dental surgeries who prefer getting toothbrushes in bulk. The current retailers selling the Starlite Toothbrush are IGA stores and pharmacies. Hi guys ! I heard about another similar product called Y-Brush, the size is a lot smaller and seems more confortable and adapted for all ages. you should check it out it’s made by a french startup it looks pretty good.